You are here: Home / Pregnancy / Morning Sickness / Morning Sickness Recipes to Beat the Queasies! In my previous post about morning sickness, I gave you lots of tips on how to survive it. Now, I’ve followed through with some great recipes from my Registered Dietitian pals. Let’s review what might help your morning sickness. These morning sickness recipes rock! 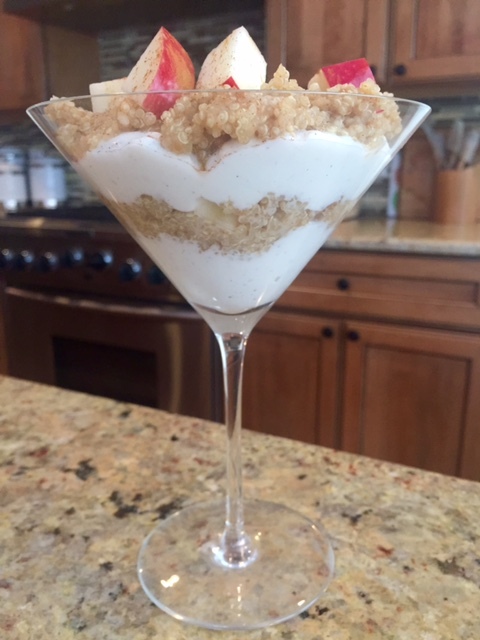 First up–this yummy Cinnamon Apple Quinoa Parfait from Katie at Mom to Mom Nutrition. She’s got a 15-month old who also loves this! So let’s talk about the star ingredients here. First up: Yogurt–full of protein (especially if you use Greek), calcium and healthy probiotics. Next we have quinoa–a high protein grain that is a great source of iron too. Here is a really unique recipe that’s a perfect make-ahead dish to eat later when you don’t feel so much like eating. Don’t panic when you see this recipe is for homemade ravioli–it uses pot sticker wrappers, which you can find in most grocery stores! 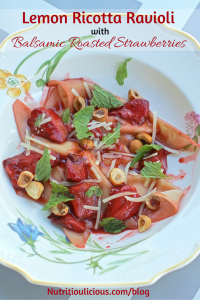 I love this recipe because it’s light, lemony and has strawberries on top instead of marinara. Because honestly, marinara doesn’t always sit well with queasy moms-to-be! Also, I think it would be great eaten cold as a salad. Drink Up to Prevent Dehydration! So when the idea that you don’t feel like eating strikes, the last thing you want to do is go in the kitchen and prep something. No matter how important you know it is or even how simple it is. 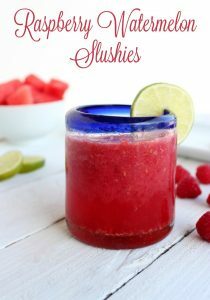 Step in pre-prepped Raspberry Watermelon Slushies from Marie at Healthy Ideas Place. You puree the fruit and freeze in ice cube trays (good practice for making your own baby food!) Then when you’re ready, just defrost some cubes a bit, crush and add club soda. This drink probably has super powers! Not only does it contain raspberries, one of the highest fiber fruits on the planet (which helps with constipation)– it’s also got watermelon. Watermelon is great to keep you hydrated and also full of lycopene, a potent antioxidant. Both these foods are Eating Expectantly super-foods for fertility and pregnancy! 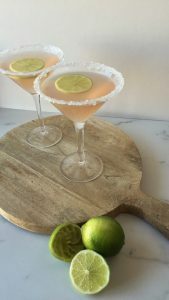 It’s ultra-refreshing and if you serve it up in a martini glass, you might just think for a moment that it’s not a mocktail! You could also use Perrier, or another sparkling mineral water to add just a touch more nutrition. Drinking something bubbly often helps nausea. Did you know that cranberry juice really is a urinary tract superfood? Cranberries have antioxidants called proanthocyanidins (PACs), which have powerful bacterial anti-adhesion properties good for urinary tract, oral and GI tract health. Bladder infections, also called UTIs, are more common during pregnancy. 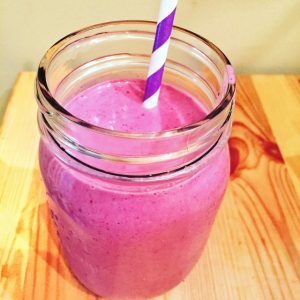 So when you don’t really feel like eating but you know you’ve got to…here’s the perfect solution–a Berry Almond Cocoa Smoothie from Amy Gorin Nutrition. Protein has been shown to help with nausea of pregnancy and this one has two sources–yogurt and almond butter. (If you’re trying to conceive, use whole milk yogurt.) Cocoa adds flavor and antioxidants that help you have a healthy pregnancy (and help fertility). The color of this smoothie is super cool and inviting! I’m sure it would also be temping if you have toddlers or preschoolers at home! They can even help to make it!